The NCS Colour Trends 2019+ includes four different stories that gives the background of the key drivers and shows the palette of six trend colours for each story to come. 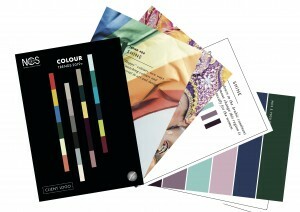 It gives an excellent overview of the colours to allow you to simply identify important colour sets and their trend. For you who are working in the coatings industry or other manufacturing industry we offer the opportunity to purchase bigger quantities that can be customised with your company details and used as marketing material to your valuable customers and markets. NCS Colour Trends 2019+ will be able for single purchase in the beginning of 2018 in our webshop.